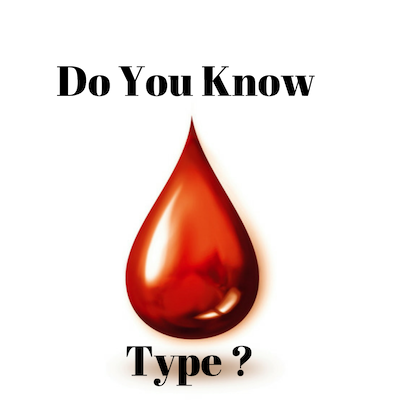 Knowing your blood type is the first step in the direction towards total wellness. Your blood type determines a lot about you including your propensity for certain diseases, longevity, and even what you should eat to maintain your weight. If you are looking at our kit, it means that you are interested in using the blood type diet to help improve your quality of life, which means of course that you need to learn your blood type in order to begin this amazing journey. Order this kit today to discover your blood type in the comfort of your own home. This blood typing kit is approved by the FDA and comes with everything you need to discover your RH factor and your blood type in the comfort and privacy of your own home. Being able to personalize your health decisions based on your blood type will offer you a whole new range of health and wellness possibilities. Following a lifestyle and diet that fits with your blood type will help you reduce the aging process, live healthier, and lose weight along the way. Being active is an important part of ensuring you remain healthy, but what you eat also plays a large role in your overall health. Eating foods that fit your blood type will help you reduce the chances of heart disease, diabetes, cancer, and other ailments along with helping you reach and maintain your ideal body weight. Blood– Avoiding wheat, alcohol, and caffeine are among the suggestions for this blood type. The included guide has an in-depth list of foods that will help boost your immune system and fit fat buildup. A Blood– Eating food in a raw or as close to a natural state is best for this blood type. The guide has a full list of foods to avoid and those you should eat in limited quantities for the best fat-fighting results that also help improve your heart health. AB Blood– It’s a good idea to stock up on dairy and green vegetables of you fall under this blood type. The guide details how these foods will help increase your metabolism, and which foods you should avoid if you want to live a longer life. B Blood– If you fall under this blood type, it’s almost like winning the lottery. 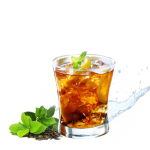 Not only can you eat a wide variety of foods, you also have a distinct advantage when it comes to losing weight. There are certain foods you should avoid to maintain heart health and proper digestion, so make sure to read the guide to find out more about how to maximize the benefits of knowing your blood type. There is scientific evidence that shows certain blood types have a higher instance of specific illnesses, such as ulcers or atrophic gastritis among others. Following a meal plan that is crafted specifically for your blood type paired with a healthy active lifestyle is the key to living a longer, better life. Check out the included guide to find out more about better living through eating for your blood type.